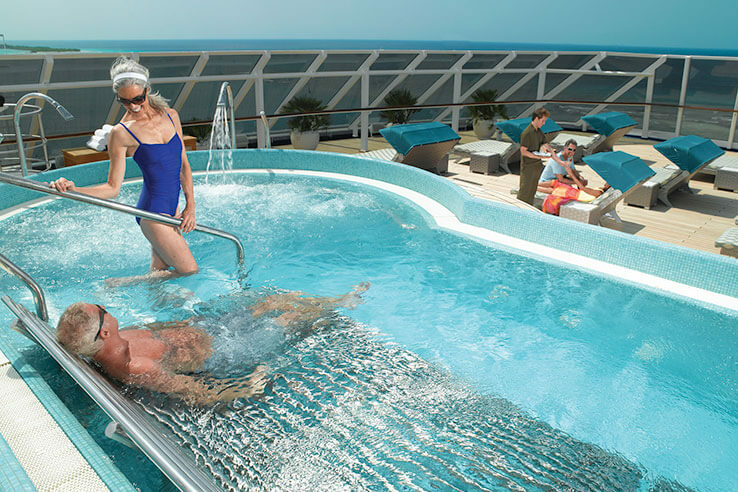 Step aboard Oceania’s luxurious Marina for a magical voyage where elegance and grace meet tropical Tahitian allure. 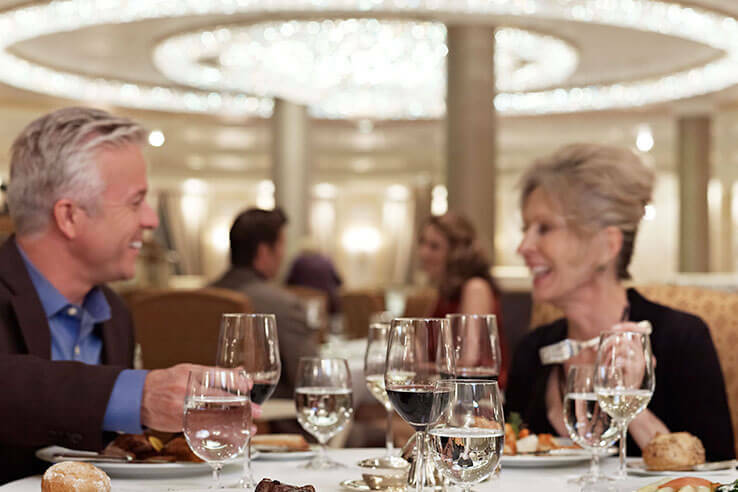 With exceptional gourmet dining and superior service, we’ll understand if you never want to go home! 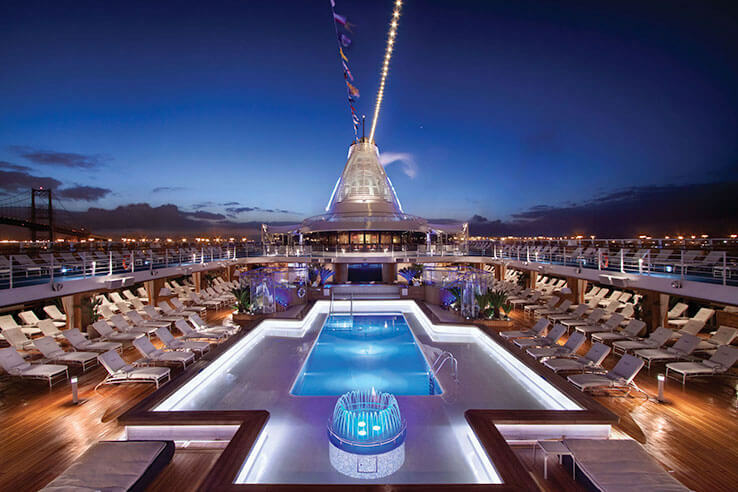 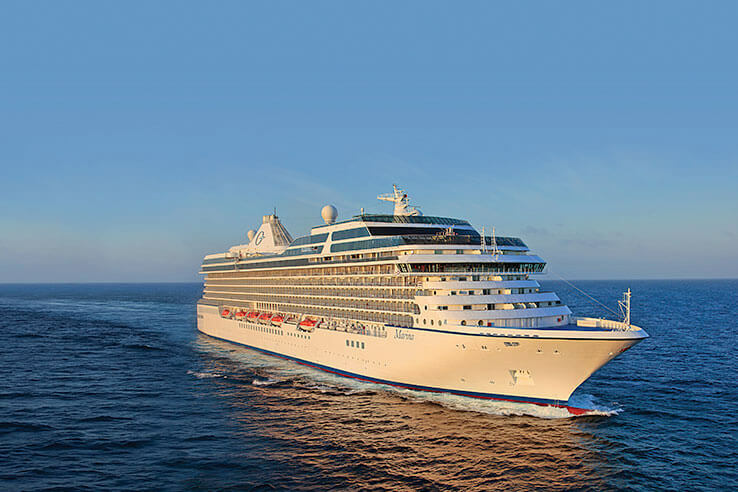 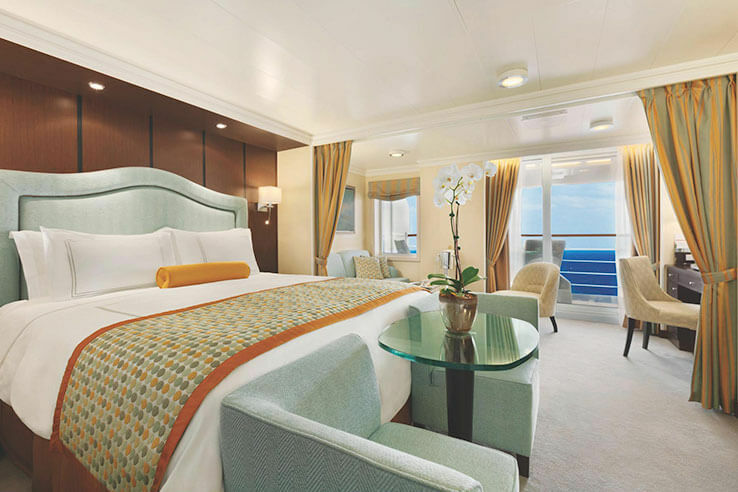 Combining the ‘wow’ factor of larger ships (think sparkling Grand Staircase and designer touches) with the intimate personal service of smaller ships, cruising aboard Oceania Cruises’ Marina is a true treat. 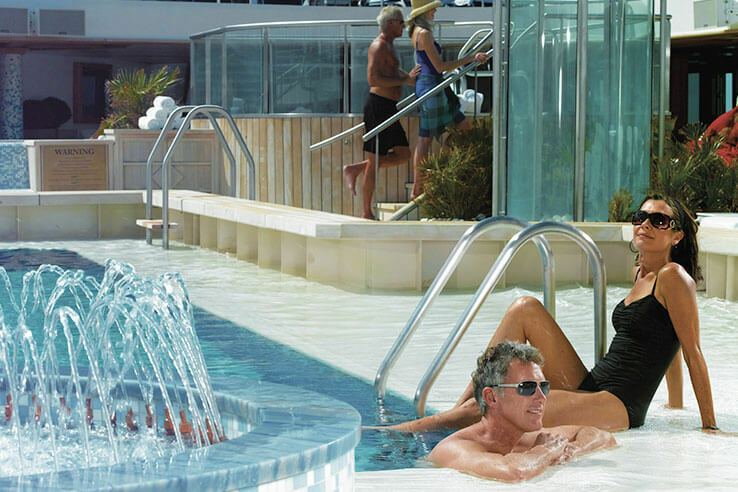 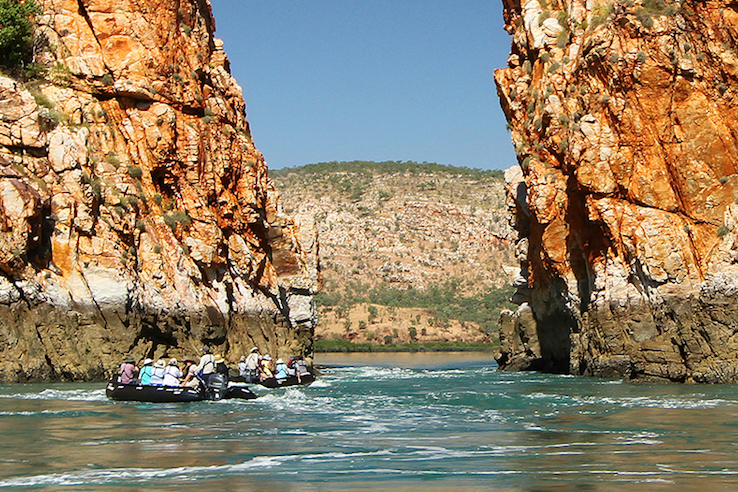 With 1250 guests, there are plenty of fellow travellers with whom to mix and mingle, yet Marina is small enough to ensure excellent crew-to-passenger ratio and can access those places larger ships cannot. 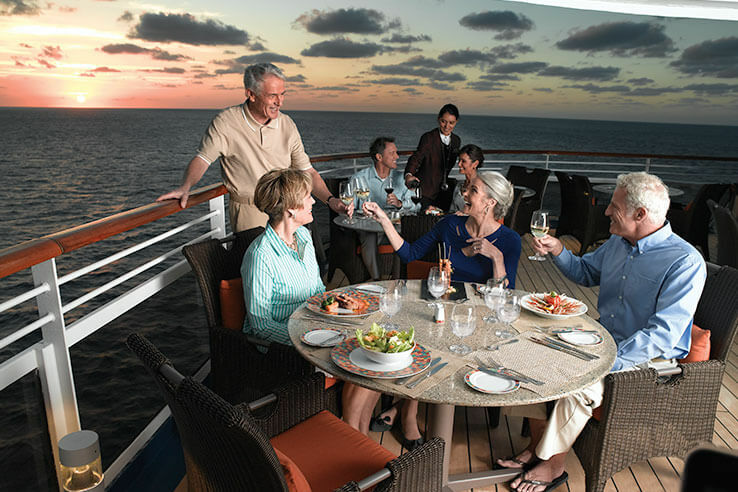 Designed for epicureans and travel connoisseurs, Marina offers guests multiple dining venues, of which six are open-seating gourmet restaurants with no surcharge. 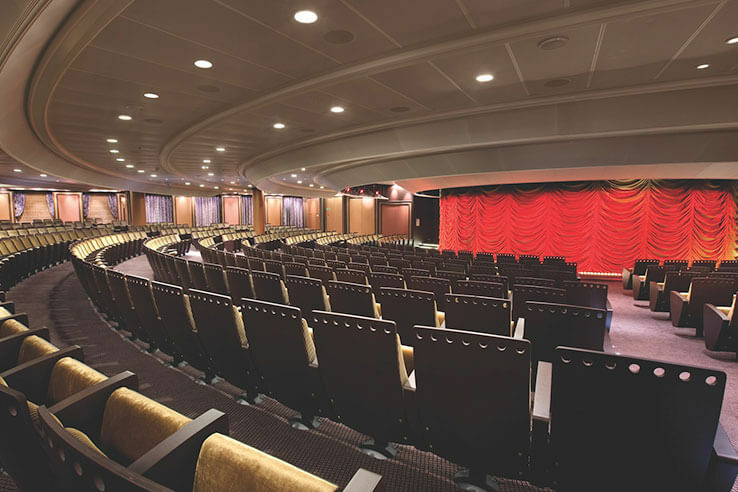 La Reserve by Wine Spectator offers enlightening seminars, tastings, and gourmet food pairings and The Culinary Center is the only hands-on cooking school at sea, featuring a range of enriching cooking classes by master chefs. 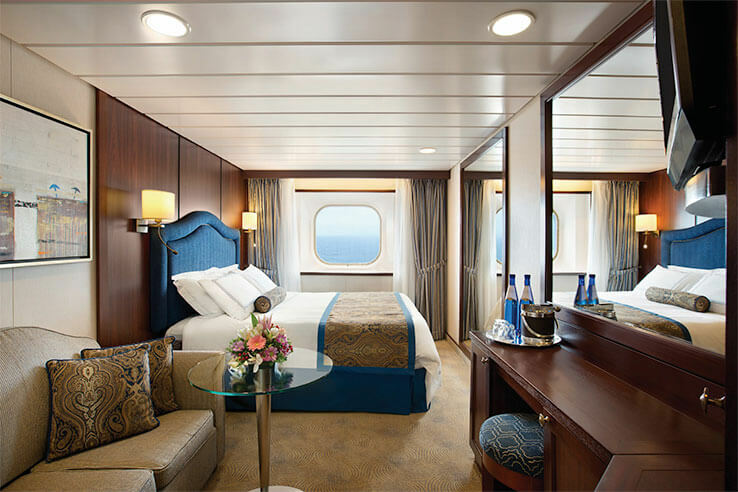 Your luxury cruise package begins with at your doorstep with a chauffeur driven luxury car transfer from your home to the airport (conditions apply) in time for your flight to Papeete. 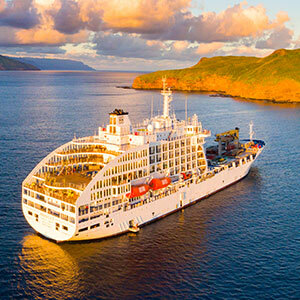 On arrival, you’ll spend two nights in Papeete allowing you a full day to explore the town, visit the markets or unwind beside the pool before boarding the ship. 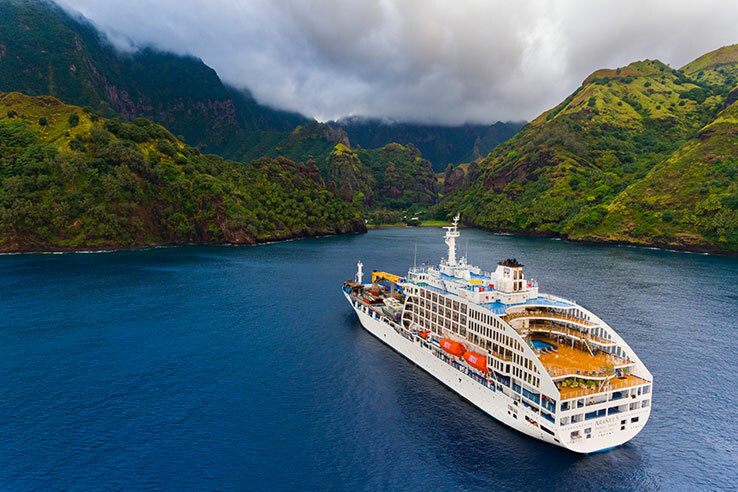 After setting sail, the real fun begins with 10 or 12 days of luxury while you cruise Tahiti’s beautiful Moorea, Fakarava, Rangiroa, Bora Bora, Raitaea and Huahine. 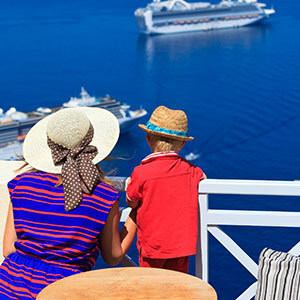 Discover pure, pristine lagoons, ecosystems home to rare birds and plants, pearl farms, stunning atolls, lush tropical gardens and gorgeous villages with coral churches. 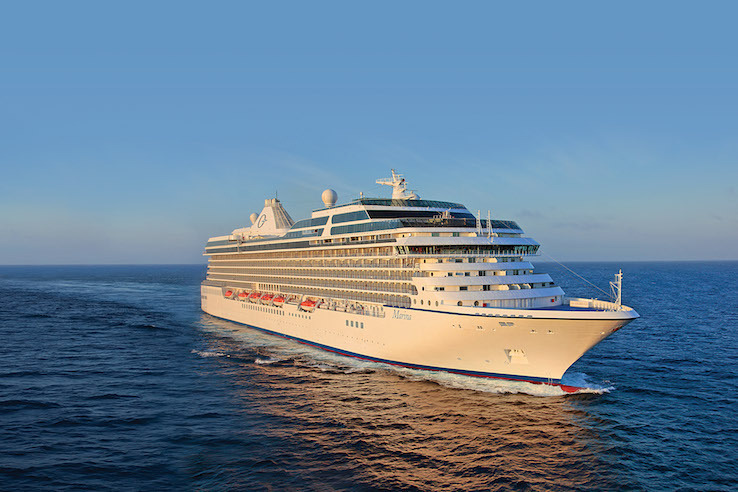 This luxury Tahiti cruise is a true treat for the senses and one you don’t want to miss! 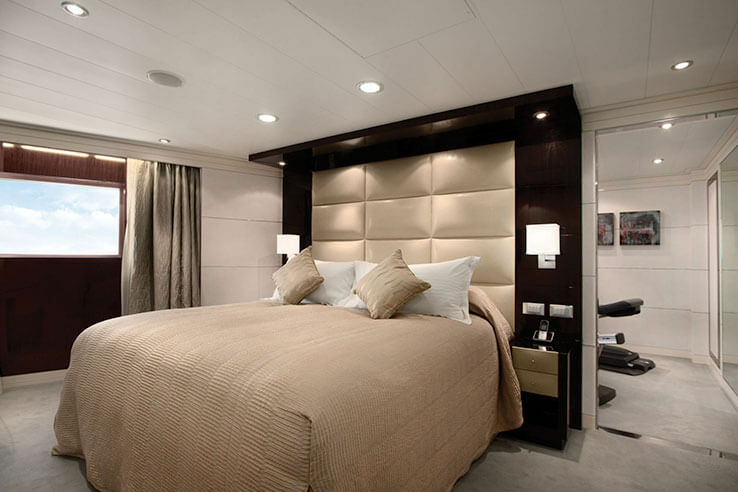 10 or 12 night luxury voyage aboard the "Marina"